Majesty was formed in 1985 by guitarist John Petrucci, bassist John Myung and drummer Mike Portnoy while studying at the Berkeley College of Music in Boston. Kevin Moore, a high school band-mate of Petrucci's, was recruited to play keyboards and Chris Collins was enlisted as vocalist. 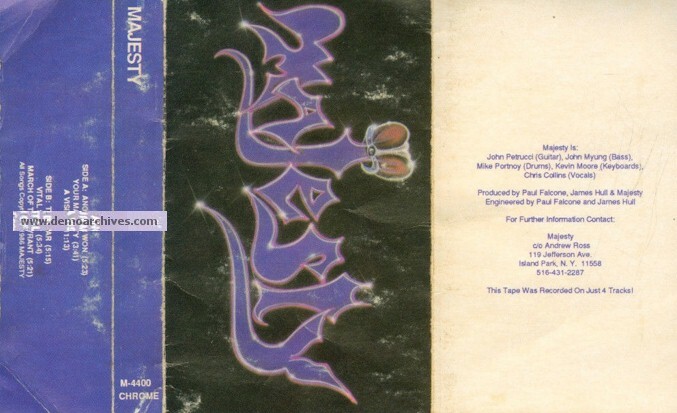 The quintet settled on the name Majesty for their newly-formed group (a name inspired by Portnoy's description of the closing section of "Bastille Day" by Rush), and the three Berkeley attendees dropped out to concentrate on the band. In November 1986, after a few months of writing and performing together, Chris Collins left the band because of creative differences with the other members. After a year of trying to find a replacement, Charlie Dominici, who was far older and more experienced than anyone else in the band, successfully auditioned for the group. With the stability that Dominici's appointment brought to Majesty, they began playing more shows in and around the New York City area, and gained a considerable amount of exposure for a band that had not yet released an album. Their first major recording project was their demo released in Sept. 4 1986. 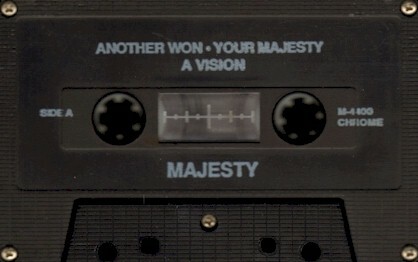 Shortly after the release of the demo, they were forced to change their name when another band named Majesty threatened legal action. Various names were trialed until Portnoy's father suggested the name Dream Theater, which stuck.